Click the button below to add the EP-MS2812 Pre-Wired 2800W 120VAC Power Panel to your wish list. The MidNite Solar Magnum Energy E-Panel is a quick and easy way to install a Magnum Energy Inverter. It comes standard with the basic overcurrent protection and disconnects required to install your renewable energy system. 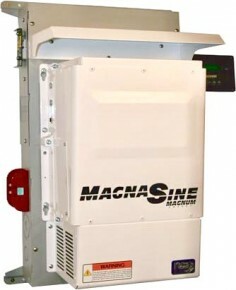 With a hinged door holding the inverter, E-Panels provide easy access to wiring terminals, allowing the AC input,output and battery connections to be made easy on site. cETL approved for Canadian installations.